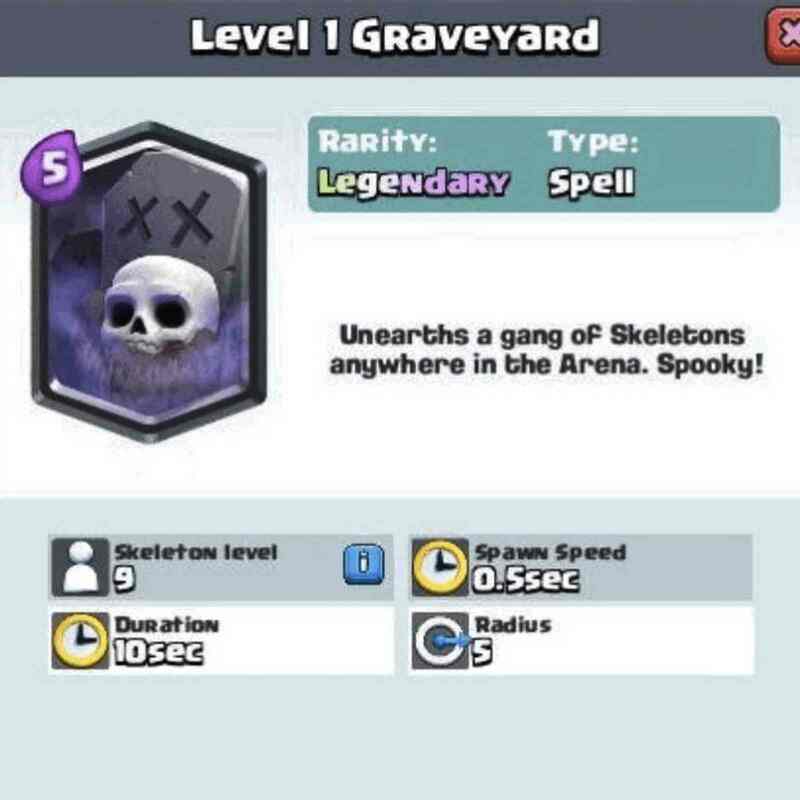 The brand new Clash Royale Graveyard Spell Card has been confirmed. It’s a brand new Legendary Spell coming to the game. 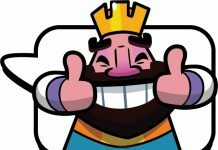 We knew it a while back when Clash Royale update introduced new cards that will be arriving after every two weeks. There were leaks, rumors and confirmed reports. And all of them pointed towards the Clash Royale Graveyard Spell Card as the next car in the game. In just a matter of days this new card will arrive to the game. It’s a game changer. We figured the Inferno Dragon would be a really hard card to counter. But the Clash Royale Graveyard Spell Card appears to be the hardest to counter at the moment. It’ll spawn Skeletons every half second for 10 seconds. Basically, that’s a total of 20 Skeletons. There’s no chance a Miner could even touch your Tower if a Graveyard Spell is being used. However, keep in mind the Clash Royale Graveyard Spell Card is not cheap. It costs 5 Elixir but at least it’ll be worth it. The problem with the Miner has always been that it is really hard to know which direction he’s going to take when attacking your Tower. So, a really good counter to that is dropping the Graveyard Spell. This will keep the enemy Miner pre-occupied for 10 seconds. 5 Elixir is a lot to sacrifice. But think about the cards you can counter that will not be a negative Elixir trade for you. 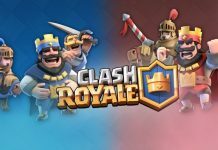 These include Bowler, Barbarian, Princess, Pekka and Three Musketeers. That’s just some we could think off the top of our heads. 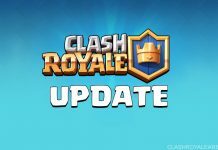 We’re still waiting for how the new card will play out and how most players will plan to use it. 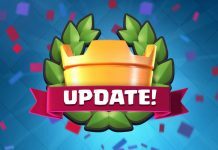 Stay tuned to MobiPicker for more Clash Royale news and updates. We’ll let you know of some other new cards coming as well.